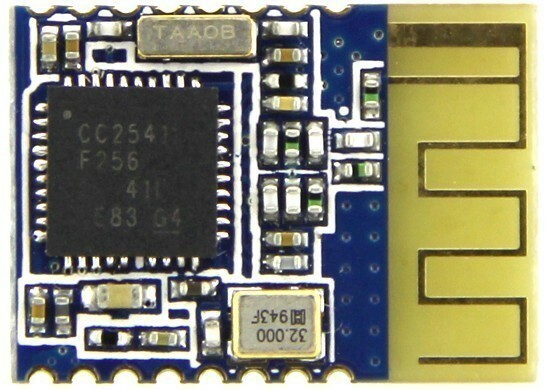 BLE Modules equipped with the TI CC2541 chip, which we’ll use with our arudino, to communicate with the Myo armband. A high-level Arduino library and custom firmware for the HM-11 (CC2541 SoC) to enable direct Myo Armband and Arduino communication. -vroland. 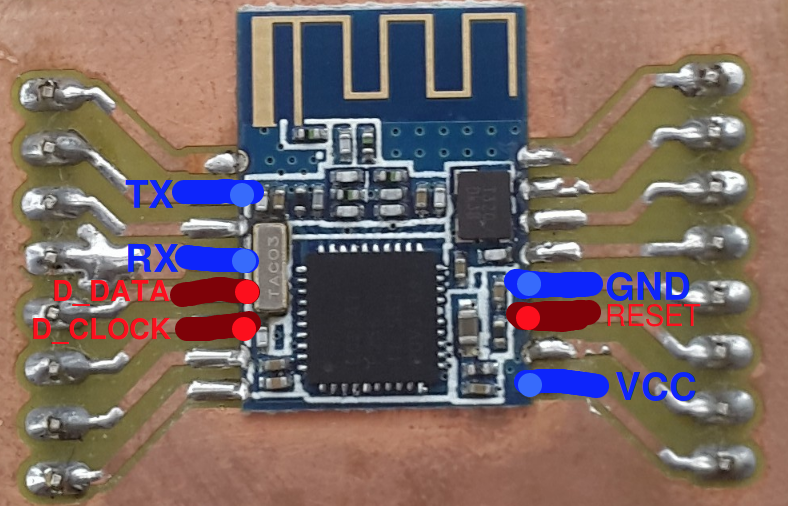 The HM-10 comes equipped with 4 pins for VCC, GND, TX and RX, and while that’s enough to operate it, we still need to solder three wires to have access to the DEBUG_CLOCK(YELLOW), DEBUG_DATA(BLUE), and RESET(RED) pins. Even though we’ve access to all the pins, you actually only need 7 of them to flash and operate the module. The red pins are only needed for flashing, and the blue pins are needed for operation, so you’ll have to design/solder accordingly. To flash the modules with the MyoBridge firmware we’re going to use the CCLoader program developed by RedBearLabs. The colors used here represent the wires we soldered to the HM-10 board we’re using for the tutorial. You can obviously use any colors you want, we stick to color standards only with finished projects or finished prototypes, since using the proper colors even for testing always leads to a drought in the most used colors like red, and an abundance of not so often used colors. 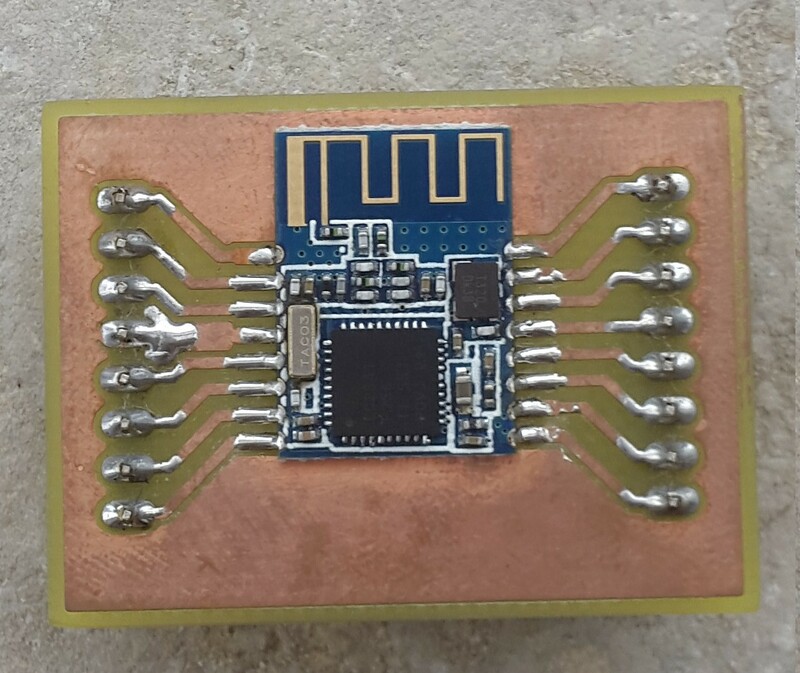 Alrighty, now that we’re done with that, it’s time to connect our Arduino back to the computer and flash the firmware, next steps are the same for both the HM-10 and the HM-11. 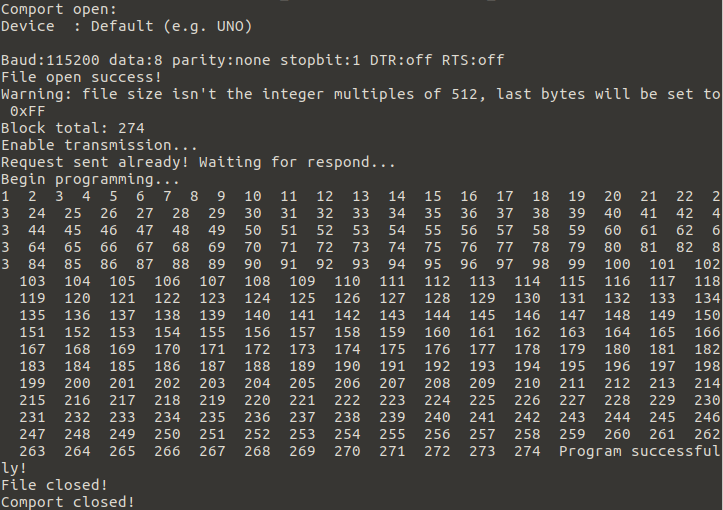 The BINARY_FILE.BIN is the path to the firmware binary, you’ll find it under: MyoBridge/myobridge_firmware/Bin/MyoBridge_CC2541.bin MyoBridge is the folder we downloaded earlier. 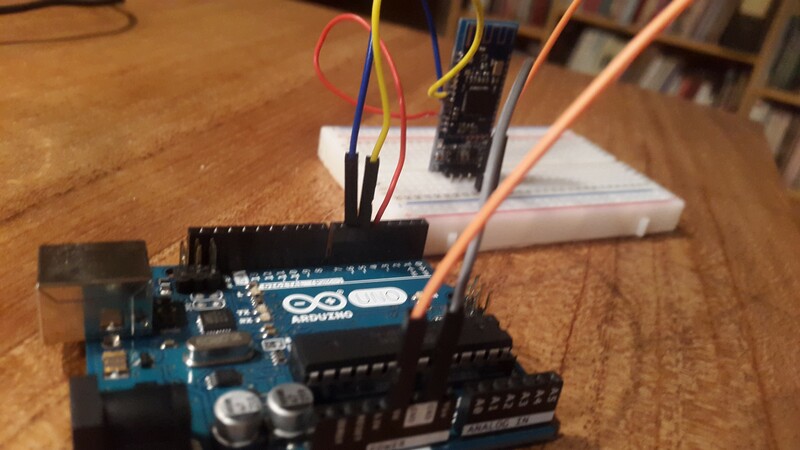 If you’re using an Arduino other than the UNO, then do the same just with the numbers reversed. Now that we’re hopefully done with flashing, we just need to quickly test if everything worked out. The MyoBridge folder you downloaded earlier comes with a couple of example sketches, you’ll find them under MyoBridge/Arduino/libraries/MyoBridge/examples/, but before you run any sketches you have to either put MyoBridge/Arduino/libraries/MyoBridge/src in your Arduino libraries folder, or you zip the src folder, name it MyoBridge and add it to the Arduino IDE. After you’re done with that open the MyoBridge/Arduino/libraries/MyoBridge/examples/printFirmwareInfo/ sketch and flash your arduino with it. If everything worked out you should see searching for myo… connecting with myo.. connected. followed by the firmware information of your Myo armband. The reason we mention the third option is because we ourselves had problems with the Linux version of CCLoader before the latest patch, since it missed the last block of firmware sometimes, and didn’t fully flash it. Originally published at blog.raquenaengineering.com on July 24, 2017.